The 11th Annual Little Princess Ball royally presented by K+S Potash Canada is a fun-filled evening designed to help the community raise much needed funds for the Dr. F.H. Wigmore Regional Hospital's youngest patients. The volunteer organizers of the Little Princess Ball create an atmosphere where your little Princess can be royalty for an evening and provide an opportunity to make a difference in their community. Your Little Princess will be treated to an evening fit for royalty with a royal feast, crafts, dancing, entertainment and mingling with our other royal guests. The Little Princess Ball is truly a magical time. 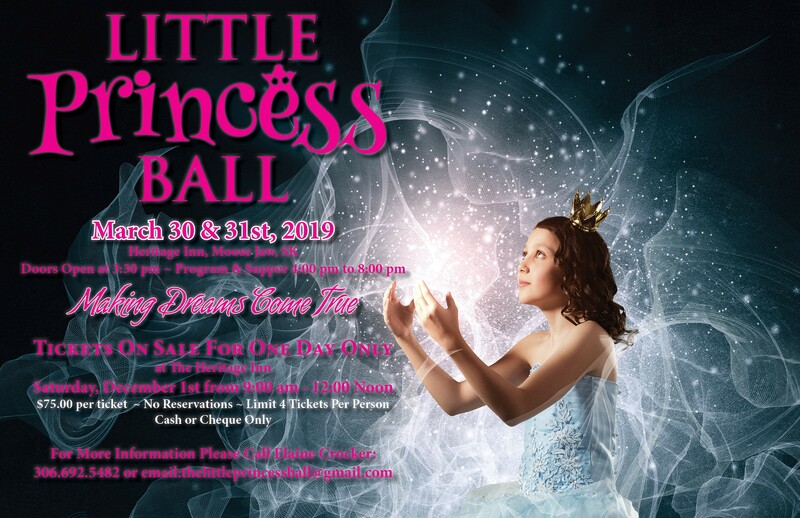 The 2019 Little Princess Ball will take place on Saturday, March 30th and Sunday, March 31st at the Heritage Inn. Tickets are $75 per person. Only Sunday tickets are still available.